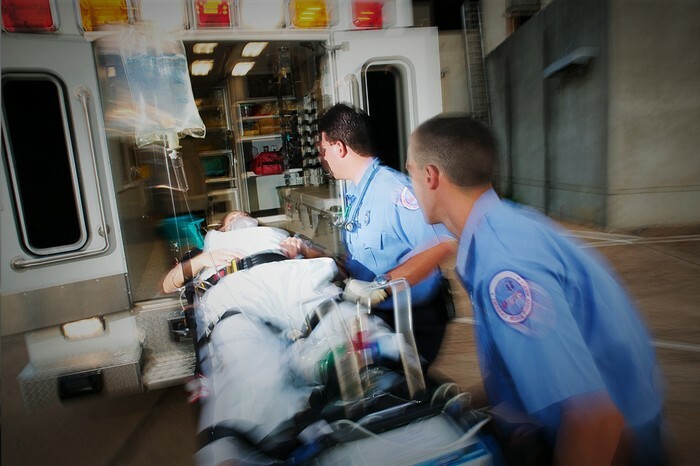 EMT is person who is specially trained and certified to administer basic emergency services to victims of trauma or acute illness before and during transportation to a hospital or other healthcare facility. EMT responsibilities is assessing the medical needs of the sick or injured. This must be done quickly and efficiently, especially in serious life or death situations when a minute lost can mean the difference between saving someone or not. Properly moving patients is also one of the most important EMT responsibilities. EMTs must always lift and carry patients in a manner that ensures their safety. They must also take steps to insure their own safety and avoidance of injury. 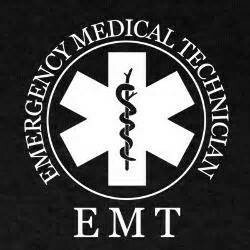 Maintaining composure in critical and stressful situations in another of the top EMT responsibilities. These can include mass casualty incidents, emotionally charged situations, the death of injury of children, incidents of violence or the death or injury of a friend, relative or coworker. An EMT must also realize when their mental state is affected by job stress and take appropriate actions to get help. Diploma programs are usually offered at the EMT-Basic level and teach basic emergency skills and patient assessment. Students are educated in the operation and maintenance of common emergency equipment through formal instruction and an internship. These internships typically involve clinical experience assisting an ambulance crew or working in an emergency room. Certificate Programs, Associate's Degree. -Emergency Skills: Paramedics must have a comprehensive understanding of emergency medicine and emergency rescue skills in order to become licensed. This includes knowledge of rescue techniques, oxygen delivery systems, proper care for bleeding and wounds and heart attack response procedures. -Physical Skills: Paramedics must be able to bend, crouch, lean, twist and turn. Since many medical procedures require delicate work, paramedics need steady hands and good hand-eye coordination. -Anatomy: To address medical emergencies, paramedics need a good understanding of anatomy. Understanding the placement of bones and tissue in the body means paramedics can assess the extent of danger in an emergency situation. Employment of emergency medical technicians (EMTs) and paramedics is projected to grow 23 percent from 2012 to 2022, much faster than the average for all occupations. 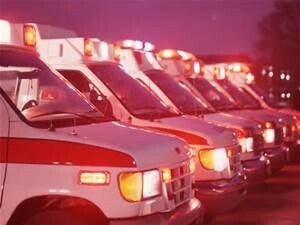 Emergencies, such as car crashes, natural disasters, or acts of violence, will continue to create demand for EMTs and paramedics. Demand for part-time, volunteer EMTs and paramedics in rural areas and smaller metropolitan areas will also continue. Growth in the middle-aged and elderly population will lead to an increase in the number of age-related health emergencies, such as heart attacks or strokes. This, in turn, will create greater demand for EMT’S and paramedic services. An increase in the number of specialized medical facilities will require more EMTs and paramedics to transfer patients with specific conditions to these facilities for treatment. For Paramedics, hourly average wages total $13.12 per hour. Pay ranges from $9.66 per hour on the low end to $19.50 on the high end. Career duration is the biggest factor affecting pay for this group, followed by geography. Although one-fourth lack health benefits of any kind, a strong majority do enjoy medical insurance, and more than half get dental coverage, too. Most Paramedics survey respondents are men (71 percent). Most Paramedics like their work and job satisfaction is high. At the upper end, Paramedics who move into a Physician Assistant role can end up with a hefty increase in pay. The average income for Physician Assistants is a much higher $82K per year. Paramedics most often move into positions as Emergency Room Registered Nurses or Registered Nurses; those groups report median salaries that are $29K higher and $23K higher, respectively. I found a guy named Kelly Grayson. He went to South Louisiana Community College in Lafayette, LA and has a Associate Degree in Pre-Hospital Emergency Medicine. Many people look up to him for all his dedication and time he had put first in his job. He says "You don't have time to be scared." You fall back on your training. Everyone – that’s a common sentiment. “I don’t know if I could handle all the blood”. "Trust when your an EMT and there’s that much blood, you’re not focused on how gross it is. You’re focused on stopping it. So everyone else – an untrained rescuer is looking at it and thinking “oh my god, all the blood, the horror, the humanity!”, the paramedic is thinking pressure points, elevation, tourniquet, let’s stop the bleeding, is the bleeding arterial or is it veinous, is it a life threat or is it just scary looking? You’re focusing on your training and patient care. Your main thought is "How can I save them". If you’re wondering “should I be a paramedic,” you should make sure that you like science, have Solving Skill and can Be Flexible l with the swings that will have you alternating between the need to Handle Stressful Situations work day. In today’s episode, Kelly Grayson, a critical care paramedic and EMS (Emergency Medical Services) educator for over 15 years, tells us about being a paramedic and what to do to become an EMT.